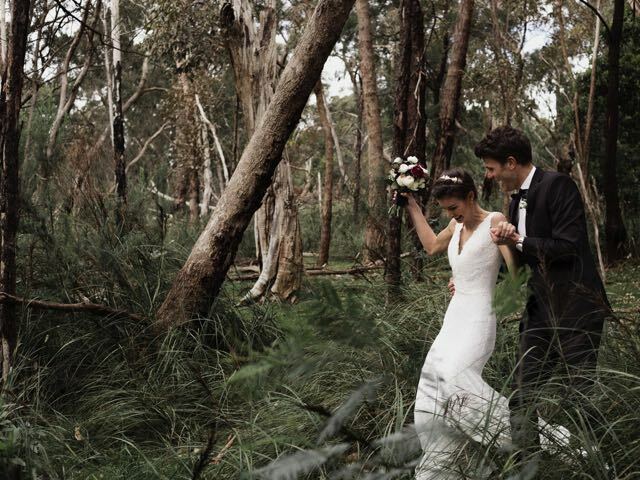 Come on a walk through the native Australian bushland and find a discovery of hidden lace wedding dresses. Delight with our new collection called Spring time romance. 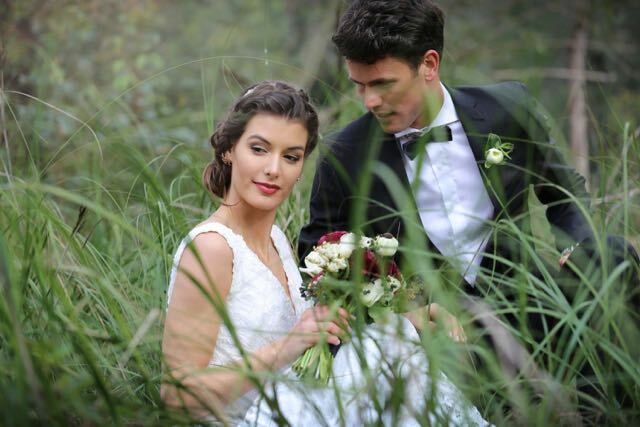 Love blooms at Spring time with wedding dresses made from soft satin and draping lace’s that fits oh so nicely. Wedding jewellery has taken a turn to the traditional with silver and sparkles that as always compliment the bride rather than over whelm. Featured below are the pretty Springtime wedding earrings. 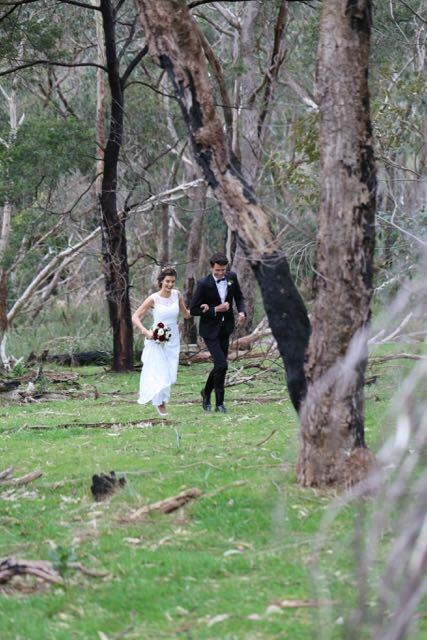 Take a run through the bush land with your husband for not only some time together but some unique perspective. 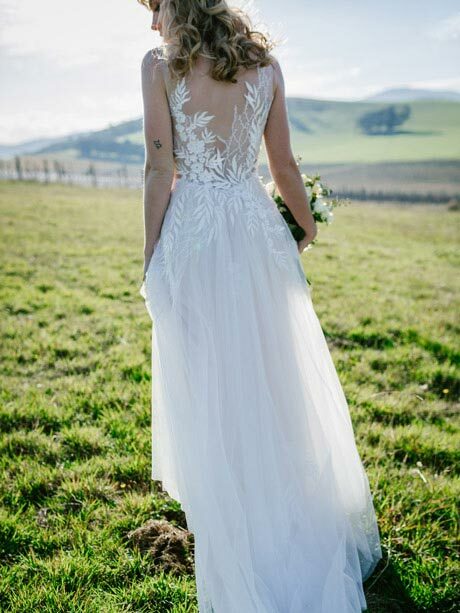 This is our Eildon wedding dress a stretch lace V neckline dress with a plunging back. Matched with the Garden party headband and Rutherglen pearl drop earrings in rose gold. The winter snow has almost but not quite melted, soon the spring time rays of sunlight will shine though. 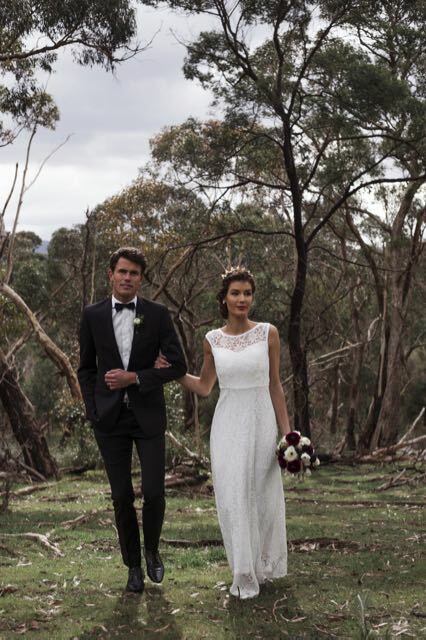 Speaking of cold the next dress is the Canberra wedding dress, a super simple dress that aims to please. I matched our Lux Melbourne head band in gold so the look wasn’t to simple. You know what, if you want to wear a strapless bra under the lace back of the dress, go for it! 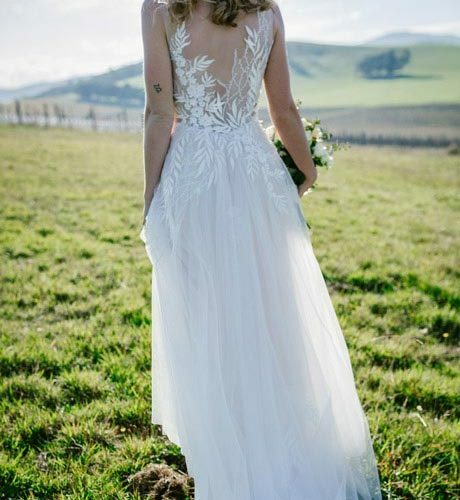 The hem of the Canberra garden wedding dress has the lining a little shorter then the lace a real unique boho style hem line. 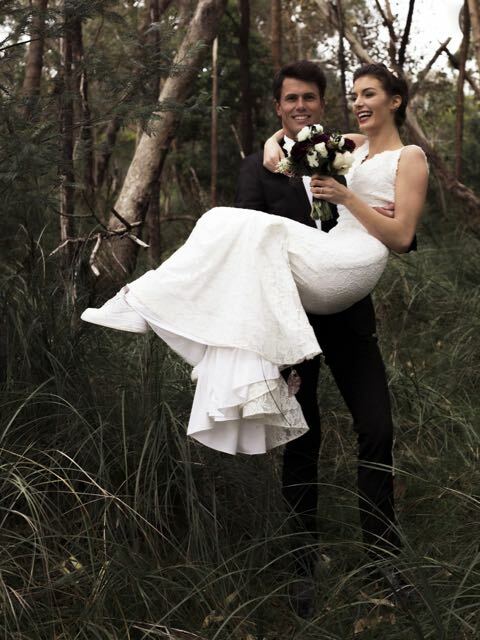 I love this shot of Isabella and jeff in the grass so romantic! 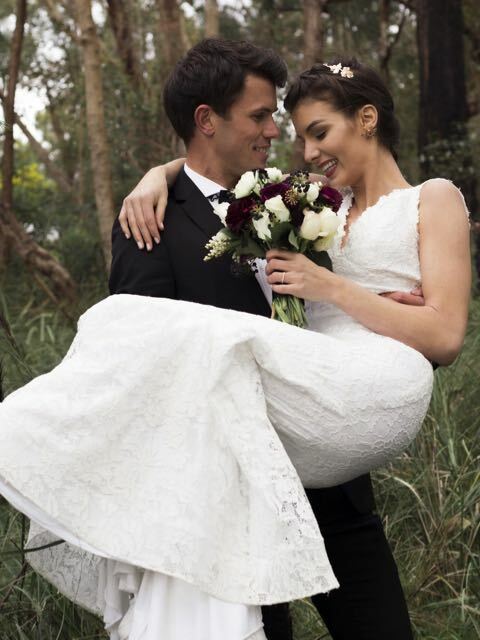 Did you know the our gorgeous groom is also an olympic Athlete in track and field! You can follow him #jeff_riseley on Instagram. Isabella has been away in India for the past two years follow her adventures at #isabellasofiacarlstrom, her Instagram stories are pretty epic. 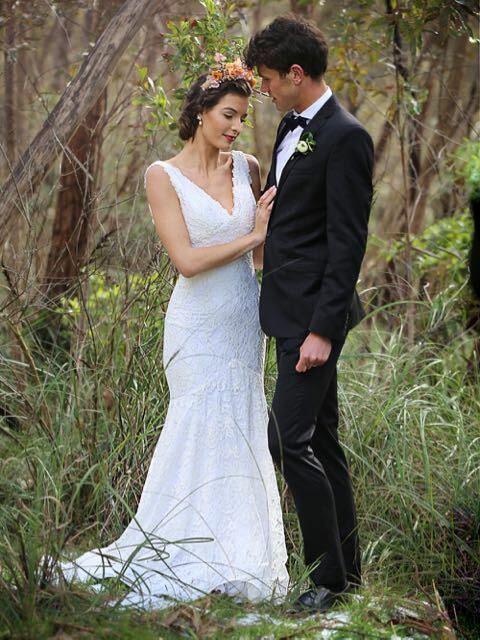 Isabella is wearing one of the Eildon lace bohemian wedding dresses in this shot. Flowers were made and arranged by #pearlandboston in Torquay, I love the little berry that were used they are so in vogue right now. 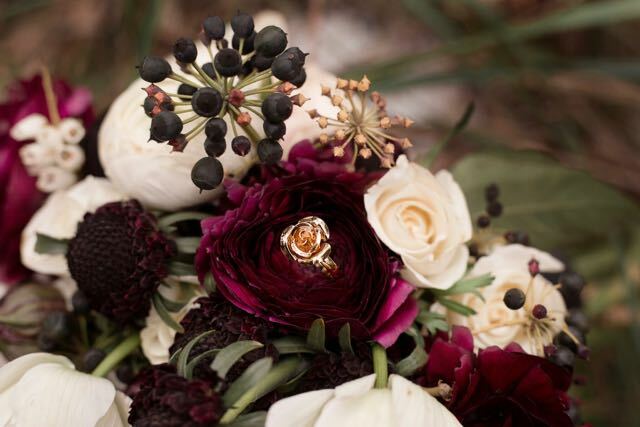 And nestled in the middle is the Melbourne wedding ring in rose gold. Cant wait to see more vintage style lace wedding dresses visit Hello Lovers. Situated in the Leah S Designs Bridal complex in Melbourne. Check out all the behind the scene’s fun at the hello Lovers youtube channel.